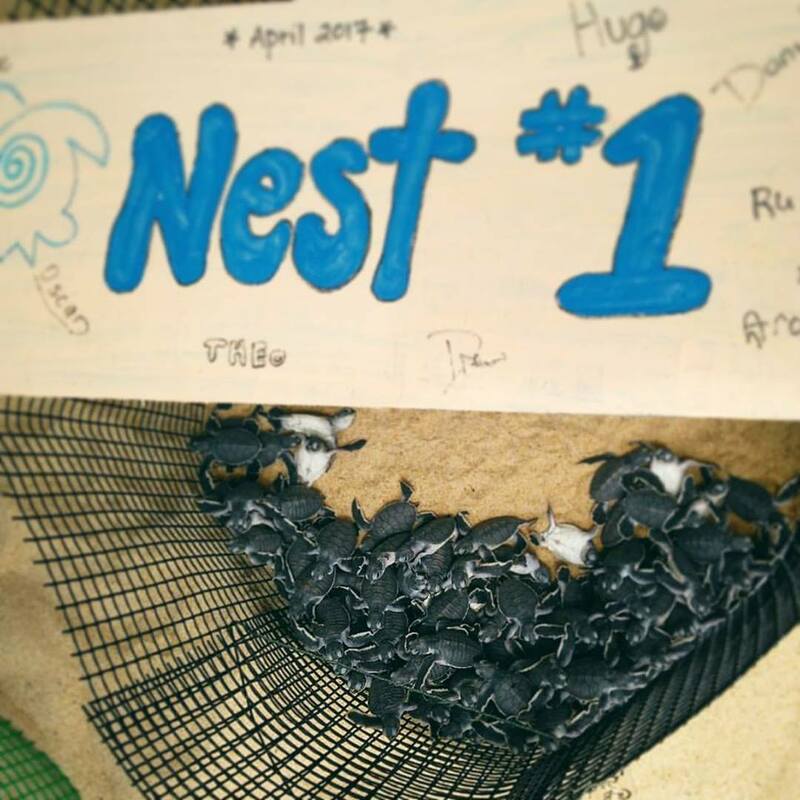 Yesterday was an exciting day as the first nest of eggs hatched! 105 out of 113 Green Sea Turtle eggs hatched, which is a pretty good percentage especially for a nest so early in the season. We released them right away from the beach here in Juara on Tioman Island, they all crawled down into the sea and are now out on their own swimming into the ocean currents. We hope to see them back here in 30 years when they are finally ready to lay their own eggs!! … Bon Voyage !